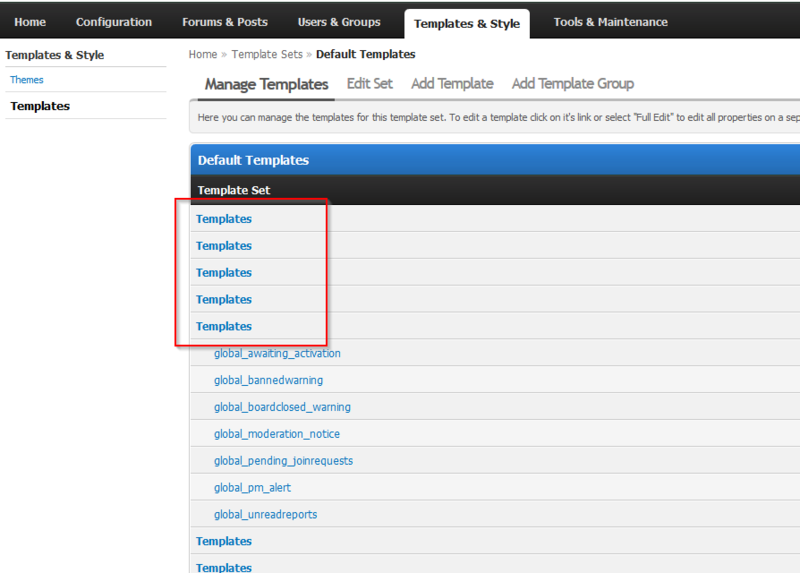 If the names for template groups disappeared and all you see is “Templates” then you’re lucky to have come across this blog post. The issue is that your version of MyBB is not compatible with the PHP server version your host is using. If you found this helpful, leave a comment below! This entry was posted in MyBB and tagged mybb, templates on July 29, 2016 by Tan Tuohy.